A fish rich in oil and omega 3, salmon has a subtle, soft flavour when cooked and is used in dishes from all over the world. In Japanese cuisine, salmon is enjoyed raw or is used in sushi. Salmon is also available canned or smoked, whilst its caviar is becoming increasingly popular. A japanese-style roll made with fresh salmon and a zesty goats cheese, red pepper and grapefruit filling. 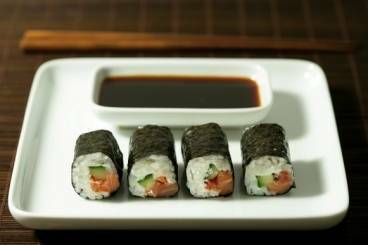 Maki rolls made with salmon, cream cheese and fleur de sel with grilled spices. Maki rolls with a salmon, goat's cheese, cucumber and sundried tomato filling. 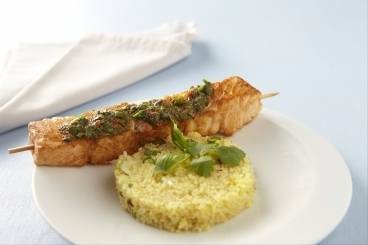 Salmon skewers seasoned with smoked paprika served with saffron cous cous and a coriander and basil salsa. 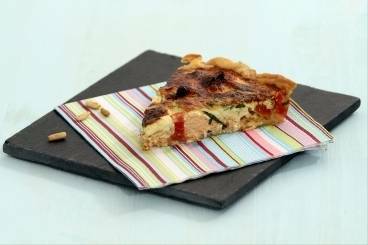 A classic quiche of smoked and fresh salmon with sunblushed tomatoes, black olives and parmesan cooked and served in a home made pastry base.